Astro Lighting Nena single light bathroom wall fitting features a circular wall plate and decorative arm in a matt gold finish. The product code for this Astro Lighting wall fitting is 7569, however similar styles are available to order from our site. 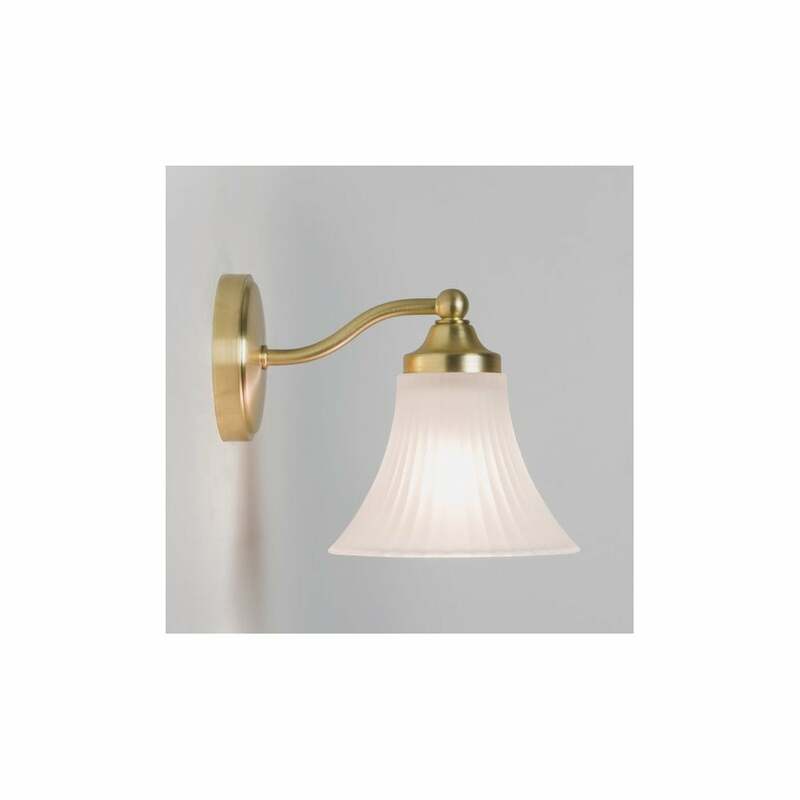 The product code for this Astro Lighting wall fitting is 7569. A frosted glass ridged fluted shade completes this classical looking bathroom addition. The frosting in the glass provides a warming glow to surrounding areas, perfectly welcoming guests with light for your room. This fitting is IP44 rated and double insulated. Also available in matt gold finish and for a complete look at the Astro Lighting Nena collection simply search "NENA" in the search box above or take a look below at our similar selected products.